Alcatel can't miss a major tech event like CES (Consumer Electronics Show), even if the smartphone brand is not quite ready to introduce new products. However, a little bit of self-promotion and sneak peeks at what's to come doesn't hurt. So, until the big reveal drops at MWC (Mobile World Congress) next month, the company confirmed its 2018 smartphone lineup will be split in three series: Alcatel 5, Alcatel 3 and Alcatel 1. Alcatel 5 series will include “affordable premium tier” smartphones, which will offer features like face unlock, 18:9 full view displays and more. Basically, these will be Alcatel's flagship killers with which the company hopes to conquer the US market. 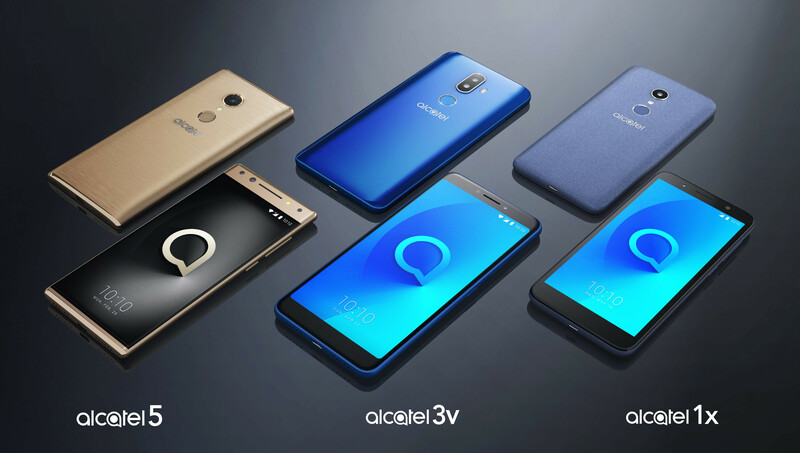 Alcatel 3 series smartphones are more affordable and promise to provide customers with a mix of the “latest trendy features,” including dual cameras, premium design, and high-res displays. It's true that Alcatel hasn't actually introduced any new smartphone, but you can see three of them in the gallery: Alcatel 1x, Alcatel 3v and Alcatel 5. Information about their specs, price, and availability will be revealed in late February at MWC 2018 trade fair. So sad to see that everyone's changing from 16:9 to 18:9... Only because it's new, it's just marketing.. Why not a 16:9 full view display? No, 16:9 could not have thin bezels because this would have reduced the internal volume of the phone and the components would not have room. 18:9 keeps the internal volume by enlarging the screen but keeping the overall dimensions the same. It's a trick, smaller bezels should have made the phones smaller but they did not, actually the phones are sometimes much taller (see S8 vs S7). Mate 10 says hello. Heck, LG G2 says hello. LG G2 only had slim side bezels... We're talking about top and bottom bezels here... So, no "hello" there. Give us good specs with good price. Make alcatel great again.